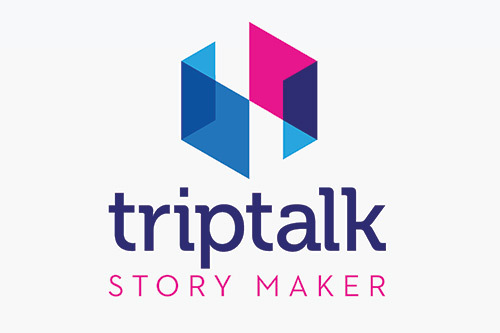 TripTalk is a new, intuitive app to record, store and share your adventures. What is TripTalk? To make is short, it’s a new, intuitive app to record, store and share your adventures. It is the answer to the issue of too many meaningless images stored in external drives that one never goes back to. It’s for the people who take pleasure in, every once in a while, going back to review experiences and ventures in a more concrete way compared to crude images and blurred memories. I am a young man with the luck of travelling quite a bit. I really enjoy exploring the world and experiencing cultures. I did however realize that i was never able to reconnect back with my adventures in any true manner besides memories and some pictures lost among others stored in a separate hard drive... sad. Thus, there came the idea to solve the problem for myself, and for the rest of lazy travellers who, just like me, don't have the will to create a physical photo album at the end of every trip! The business is in the initial testing/launching phase. The Android app has been on the market for a few months and the iOS version is soon to come in the next 35 weeks. The fan base is quickly growing as visible by our Facebook followers and interactions on published posts. Downloads are growing as well. The next few months will be critical for the growth of the fan base on both the social platform and the actual user number for both Operating Systems. In the meantime, I am aspiring to execute two crowdfunding rounds with different providers. The next huge milestone took place in July 2016, when our Facebook page reached 10k followers. Having so much support from all over the world gave me and the team a great boost in confidence. The entrepreneurship centre at cass was a huge help on so many different fronts. From goal setting, to mentoring and to resource generation, they have been a real foundation for both my personal and my company's growth. Also the City Spark competition and its workshops helped a great deal! The next step in the handinhand growth I’m experiencing is the achievement of a position in Unruly. If you are seeking help or investment let us know what you need to help your business grow? The two main objectives that i am aspiring to achieve right now are investment and mentoring. I am planning on completing two rounds of different crowdfunding before the end of 2016, to cover the investment side. Mentoring however, I need to find someone that can give me some hacks and help me reach my objective in an easier and more efficient manner.